Members of the media and photographers are invited to Trimdon Station Community Centre tomorrow (Wednesday, November 6) at 10.00am for the initial CAT walkabout. Residents living in Trimdon Station and Deaf Hill are being encouraged to have their say on what can be done to improve their area. 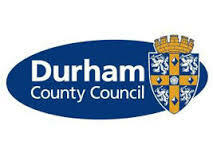 On Wednesday, November 13 a Community Action Team (CAT) made up of representatives from Durham County Council’s trading standards, planning, housing, recycling and Civic Pride teams will be on hand at a meeting to discuss any problems with members of the local community. The meeting will take place at Trimdon Station Community Centre, Trimdon, between 6.00pm and 7.30pm. An eight week programme of work, in partnership with Durham Constabulary, the Alcohol Harm Reduction Team, Fire and Rescue Service and the NHS, is beginning next week and residents and businesses are being encouraged to get involved in helping the CAT tackle issues in the area including improving housing standards, dealing with empty properties, flytipping and noise issues. In addition to the residents’ meeting, there will also be four drop-in sessions during CAT’s time in Trimdon Station and Deaf Hill – taking place at Trimdon Station Community Centre on November 20, 1.00pm to 4.00pm, November 28, 3.00pm to 6.00pm, December 4, 1.00pm to 4.00pm and December 12, 3.00pm to 6.00pm. Residents can go along to get updates on the progress of the CAT’s work as well as to get advice on trading standards, recycling and energy efficiency. Free mini-health checks and PAT testing will also be available at a number of these sessions.